Post subject: Who wants this job? We interviewed both of these guys and couldn't close the deal! Post subject: Re: Who wants this job? Same story every offseason. Miami interview the people they want but can't land them. Coaches, players, GM's. You name it we can't land the ones we want. I hate to say it, but I would go to the Giants or Lions before I would go to the Dolphins right now. I don't see any semblance of stability in the Dolphins organization. Who would want to join them right now? The only thing worse than enduring yet another full rebuild is a half-assed owner-controlled rebuild. I sent in my Madden playbook, fingers crossed..
Giants and Lions have coaches who went to a Super Bowl. Which job would look more attractive to you? I bet McAdoo chose the Giants with the thought of succeeding Coughlin. If he is the next "Andy Reid" as some are saying then its a great situation for him. If that is true then who do we want? We only brought in 3 canditates and one was familiar with Philbin in GB. I agree with you that we can't assume but if we didn't offer them the job why were they so saught after by two other teams? Especially one like the Giants with a history of being a great organization! Maybe we are waiting for our GM to be hired first, if so I hope we get on the ball soon because the Senior Bowl is this week and we need to have our FO established so they can get to work on the 2014 season! I feel an in house candidate will emerge. Politics and control are at play here....of course it's all speculation and opinion. Interviews are intended to find the right candidate that fits a variety of criteria. Just because they "fit" somewhere other than Miami doesn't make us a failure. Rather the opposite, perhaps, I t is promising they were sought by others - this indicates we are choosing from among good candidates. Just because someone is interviewed, does not mean they wanted them. Did Miami make him an offer? Miami could not land Matt Flynn they said. He took a much larger pay from Sea. Miami knew his valve. Seattle did not. Miami never was even in the race for Peyton. He was not interested. Jeff Fisher wanted total control. Miami was not giving it. There was reasons Miami did not land people. Not that they could not. Heck lets just promote O'Keefe since it's going to be a wasted year anyways. If your looking for stabilty as a coach do you come here and mold an offense or do you go somewhere where you just call a pass to calvin johnson and your a genius. Hope we get Kubiak today and be done with it. Then sign Xanders to the GM role. 2 former Denver guys. I think it will be at least for Kubiak but like I just wrote in another thread , dont get to excited because it will be a one & done. If things go predictably wrong next season we will have a new coach & all new coordinators & will not promote from with in. Gary Kubiak is a great offensive mind and I hope that is Miami's wild card to hire. I totally agree. Who around here wanted McAdoo anyways? Just what this team needs is a OC and a Head Coach who didn't call offensive plays before. There are a few others that I would take over McAdoo anyways. Good news to me that he isn't an option. Here is the thing with McAdoo - the Giants interviewed other guys who were deemed good fits for their team but opted to bring this guy in because he's an up and comer and the players respond to him. If you're McAdoo and you already have a situation built for you in Miami rather than go to NY to revamp the whole thing, why wouldn't you opt to go to the familiar environment and mold the young QB? We may not know the whole story but I think people here have to come to grips with the fact that the reputations of Ross, Philbin and maybe even Tannehill's potential might not be so good among other organizations and the NFL world. Just saying you have to consider that. 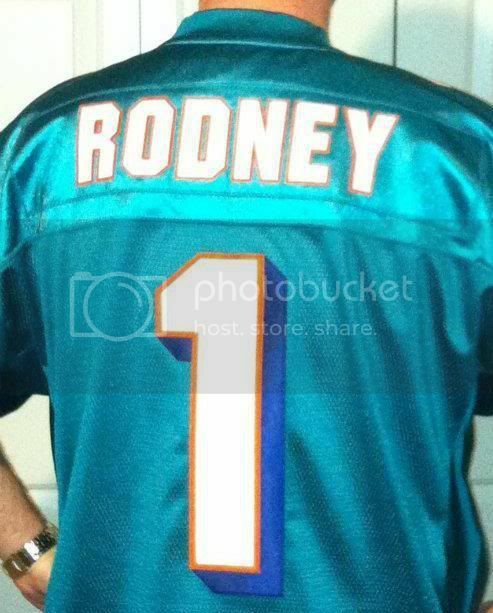 We aren't talking about Joe Robbie, Shula & Marino anymore! I disagree on Peyton. I think he chose what he felt was the better option. Harbaugh was another. Miami always seemed to be the bridesmaid in these situations. Well I learned a valuable lesson today.....Don't believe everything you hear! I'm excited about Laser because of the job he did with Foles, the fact he actually played QB and he is from the Gibbs, Holmgren tree! Already being reported that Lazor's hand are tied with picking assitants. Seems Jim Turner and Zac Taylor are being forced upon him. Troubling. It's been 9 days, and so many people freak out saying no one wants to work in Miami. Good lord! Why is patience so thin around here? So what are you disagreeing with? No offense, but the same optimism people are using to praise the Lazor hire wreaks of what we told in 2011 when Daboll was hired. He was going to get creative and maximize Henne, Marshall and Bush. As far as the reporting, do you have counter evidence? I'm giving you what the PBP tweeted out stating that the current staff is staying in place and Philbin has control of that. 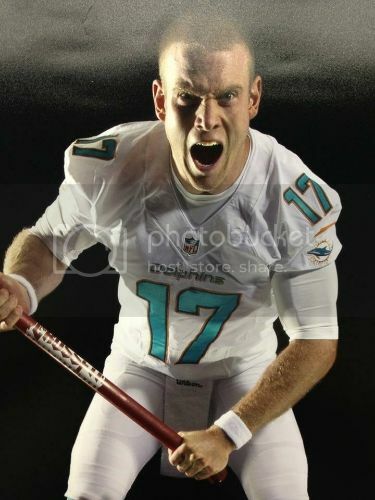 The QB coach has almost zero resume and was publicly criticized for not addressing flaws in Tannehill's footwork. The o-line coach was also criticized for inability to coach up some of the young talent (not to mention 58 sacks). Is that piling on or pointing out uncomfortable truths about the quality of the assistants? why the hell is Turner still with the team? Except that Daboll came with a poor track record and Lazor has had success at several stops. What I read is that his hands are tied, making it seem like he wants to fire them but can not... It just seems odd to me that he would take this job over another with the intention of firing assistants and position coaches, and now is told he can not..
Also there is an assumption that he is not satisfied with the current coaches, which is not proven either. Just because fans and media reports say the assistants are not good doesn't necessarily mean the new OC shares the same feeling..
Maybe the assistants hands were tied by Sherman? Really until Ross fires everyone we will continue to read this stuff of how the entire FO and coaching staff is in shambles and full of drama... Guess I should just get comfortable with it..
Daboll led a disappointing offense at Cleveland for 2 years but otherwise had a good resume with NE. Lazor has worked with good minds but outside of Foles (which no one has yet to define how much is Lazor and how much is Kelly) what success does he have? Don't get me wrong, I like the diversity of offenses he worked on and the guys he worked with, but he was OC for a Virginia offense that I think someone pointed out was 95th in the country. He was a defensive coaching assistant and wide receivers coach with New England. He was also a Jets QB coach. I don't see where his resume compares to Lazor's. Lazor got that Virginia offense from dead last in the ACC to third in the ACC in one season. Last edited by Rich on Thu Jan 16, 2014 12:36 pm, edited 1 time in total. It is also being reported that he is going to tweak Miami's offense, not necessarily bring in something new and fresh, again per the request of Philbin. You're correct in that we have no idea how much was Philbin or Sherman when it comes to inefficiencies on offense. But we've already once witnessed how Ross's loyalties sometimes get in the way of doing what might be in the best interest of the team. I'm beginning to reverse my opinion a bit on Ireland. Seems some evidence is pointing to that he might have been more of the problem. So perhaps this is all trending in a better direction. But like it or not there has been a lot of criticism of Philbin's stubborn "my way" approach. So reporting that the new OC is limited to Philbin's way isn't piling on, its just more evidence of who is really in control. Has anything Philbin's done inspired confidence in you? My hope for this situation is Lazor and new GM combine to make Tannehill and the run game more efficient so that they can mask some of Philbin's flaws. I didn't say anything about having a comparable resume. Just said both were positive. At least Daboll had experience calling plays at the NFL level. Hopefully Lazor can turn things around in Miami. But coaching and play calling in the ACC is a bit different than the NFL. This is by far his biggest challenge so I think its okay to be a bit skeptical and realistic about expectations based on his small resume. As far as the new OC, I dont see any issues with him using the staff in place. And he took the job, so he doesnt seem to either. I didn't want a new look offense personally, I dont even want some imaginative play caller thinking way outside the box..
Sherman's play calling was very routine and easy to figure out, he also did not put people in places to succeed. The lack of is what bothered me. Take this year for example: If Miami won against the Jets they are in the playoffs and no changes are made. Would you feel good about that? I'm a bit concerned about that with Lazor. He may be very good and a rising star. But if his efforts are simply masking the inefficiencies of Philbin and MAYBE the assistants, then is this team really headed in the right direction? If Miami makes the playoffs I think we'll get a very good idea of whether Philbin is the correct coach for Miami.